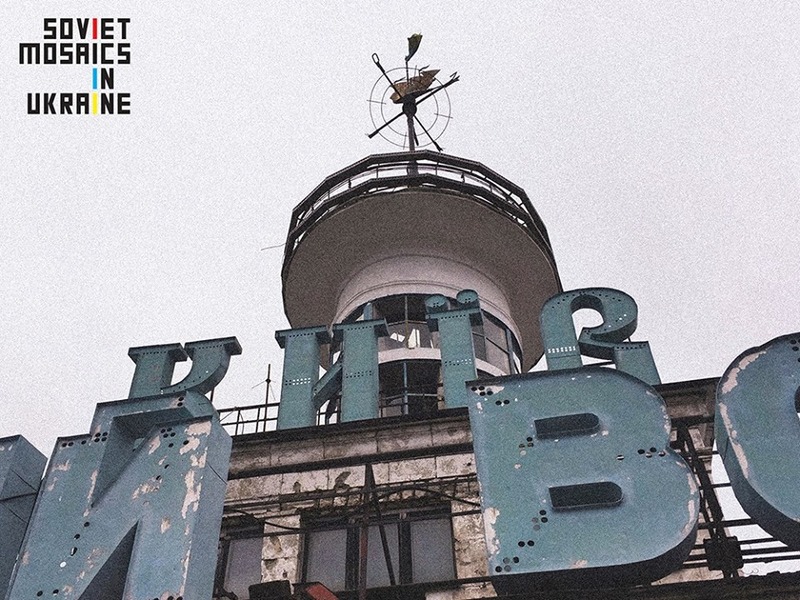 On Wednesday, February 17, at 11 am, representatives of Kyiv art community will meet at the Ukrainian Crisis Media Centre with spokespersons of the RichPort project in charge of the reconstruction of the River Port in Kyiv. Activists will voice the recommendations concerning the restauration of mosaics and the subsequent building revitalisation. The River Port in Kyiv has long been in a state of decay, a fact repeatedly pointed out by the civic activists. Today it has become known that the building has got a new owner ( RichPort project) who plans to revitalise the port, turning it into a entertainment complex. There are mosaics within the interiors of the port, which represent cultural and historic value as monuments of the Ukrainian art of the sixties. On February 9, representatives of Kyiv art community had a meeting with Anton Fridland, spokesperson of the RichPort project, during which they have evaluated the state of mosaics and building as a whole. Based on the examination, the activists have put forward recommendations concerning the restauration of the mosaics and the River Port building, as well as the concept for the future development of the RichPort project, which will be announced at the press briefing, presumably attended by the representatives of the property developer.Сultural activists also plan to announce the intention of creating a supervisory board that must be involved in designing the building reconstruction plan, as well as control the restauration process. Anton Fridland – spokesperson of the RichPort project. The event will be held at 2 Khreshchatyk Street ( Ukrainian house at European Square).